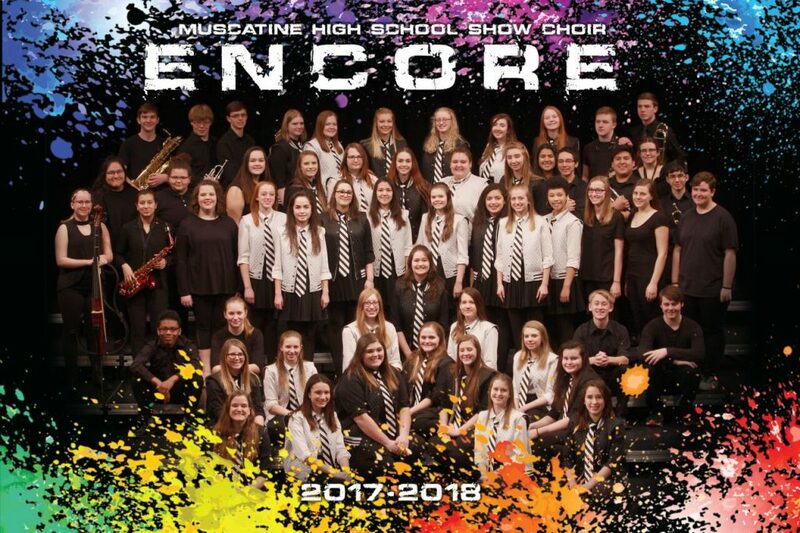 Encore, Muscatine’s prep show choir, is open to female students in grades 9-12. Membership is based on auditions held the previous spring. Rehearsals will primarily be held on Monday evenings and Friday mornings. Additional rehearsals will be scheduled in advance, some of which take place on weekends to work with choreographers. Required performances will include the Dessert Concert, show choir competitions (including our own River City Showcase), and other performance opportunities as they become available.